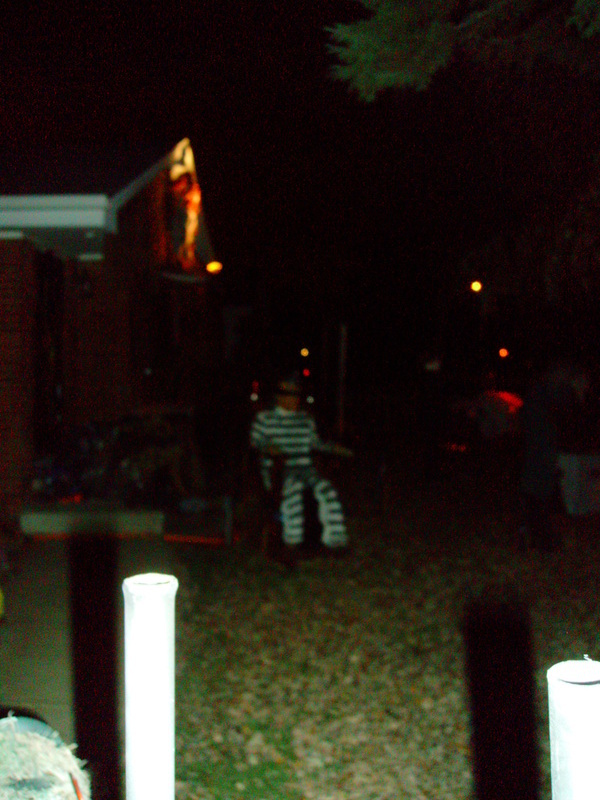 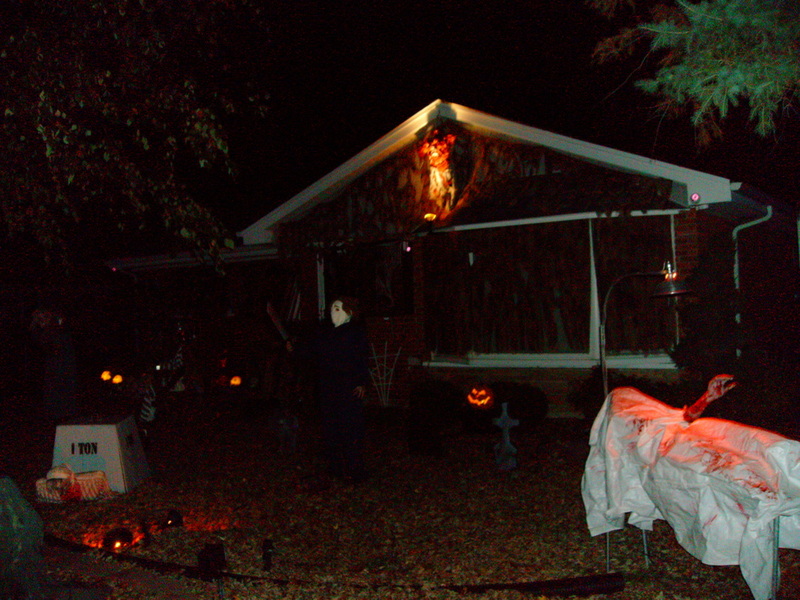 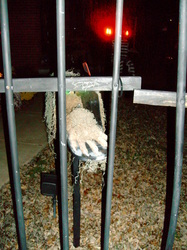 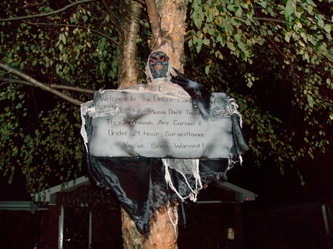 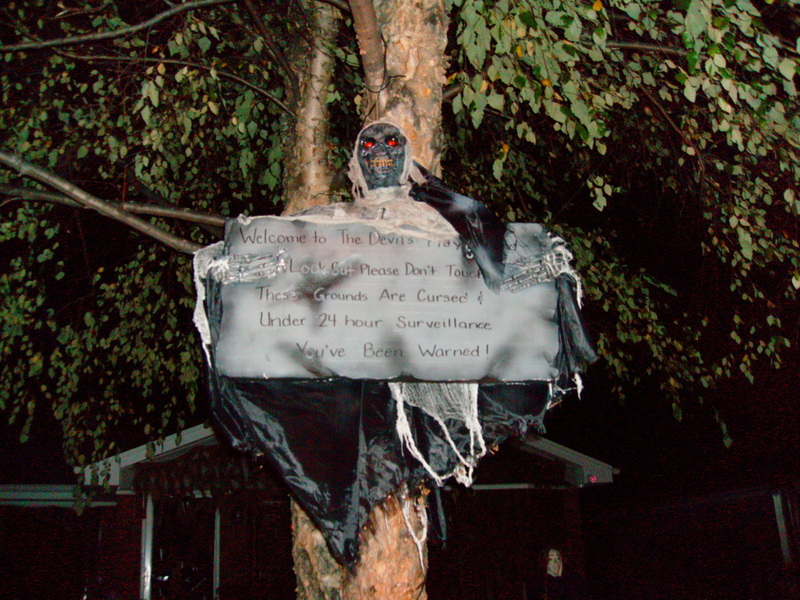 The Devil's Playground is a yard display located in Oak Lawn. 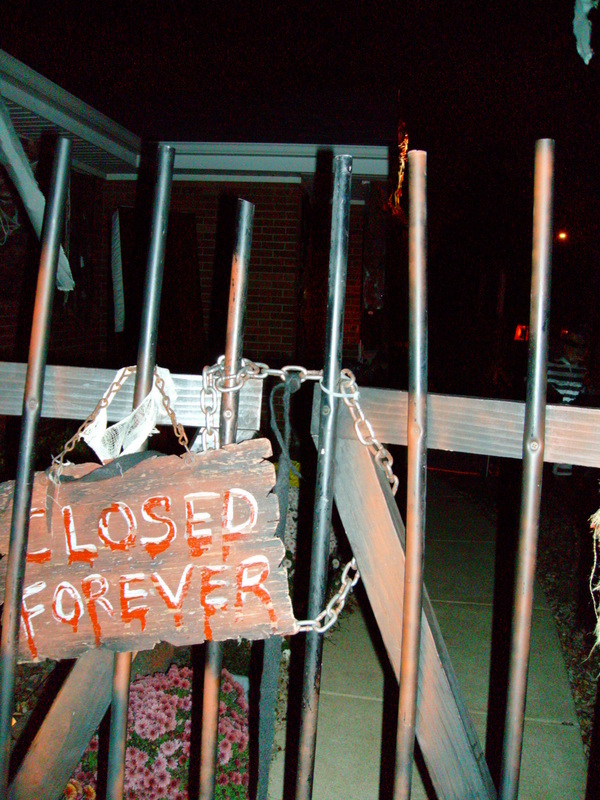 Originally visited by Bryan and Laura in 2011, it was good enough to make a return visit to in 2012, this time with Paul along. Approaching the display, one can immediately see the attention to detail. 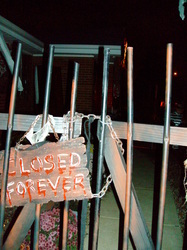 The house itself is boarded up and actually looks as though it is abandoned. 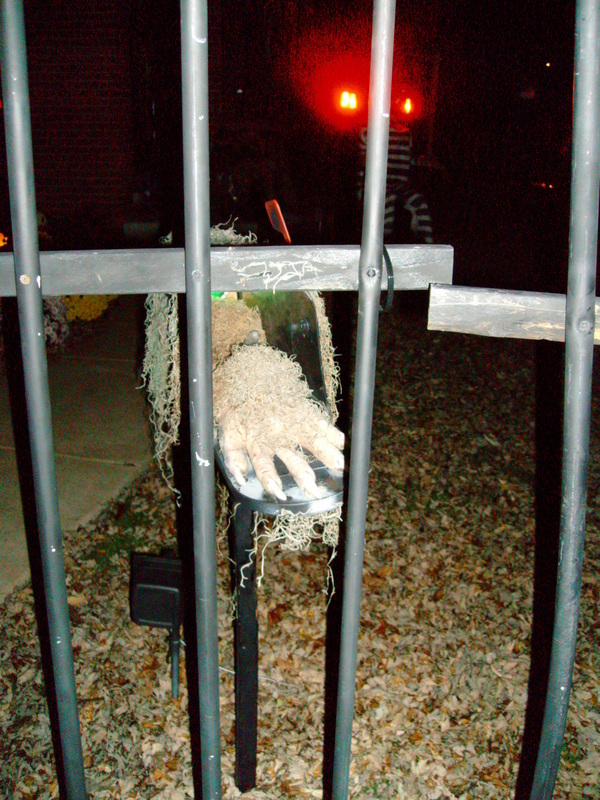 Creepy red lighting highlights a number of the displays, most of which are hand made. 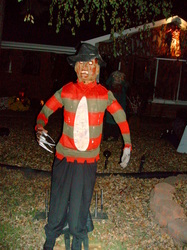 Amongst the more familiar figures are Mike Myers and Freddy Krueger, the latter of which is animated and flies towards you. On the night we were there, the owner was hiding in the background and he set Freddy in motion as we all were looking right at him. 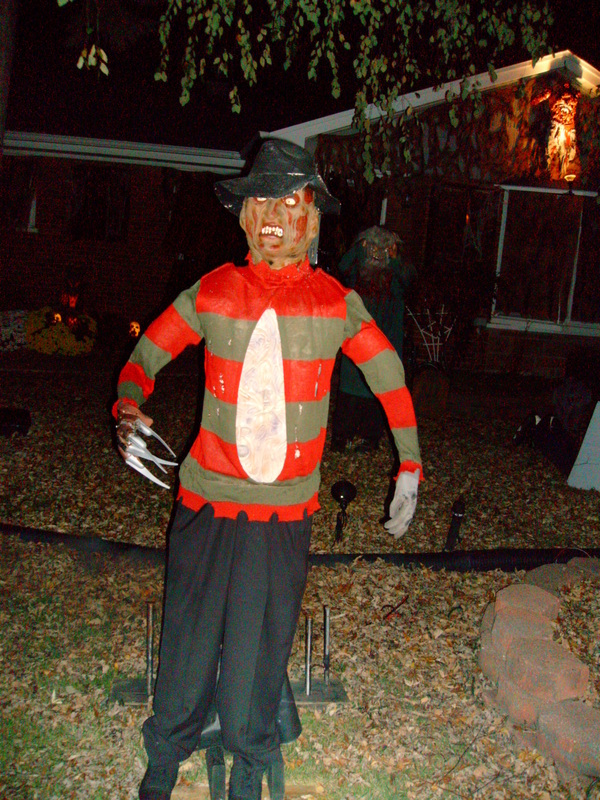 Seeing Freddy flying towards us caused us all to jump - one of the rare occasions when we all could say we were caught unaware. 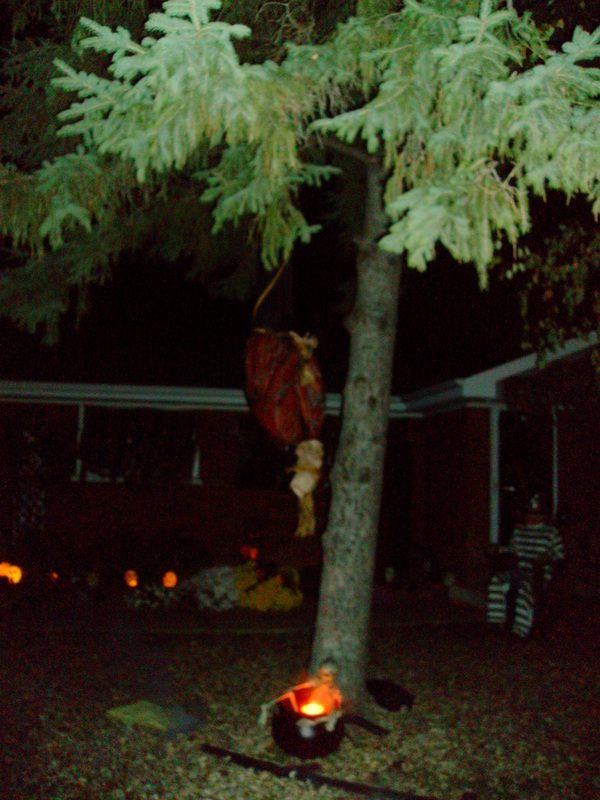 In addition to Freddy, there were bodies hanging from the trees, an execution victim, a bloody head dripping blood into a bucket, a creepy clown that popped out from a giant box, and even a disembodied hand that reached towards you from out of the mailbox. Overall, the uniqueness of the displays coupled with the abandoned-looking house and the creepy lighting provided an above average yard display that made good use of the space available. 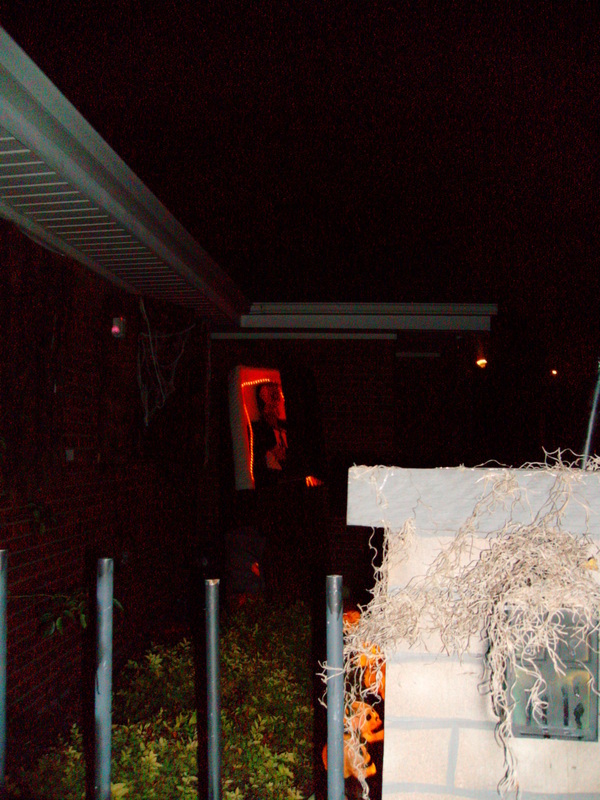 In addition, we all had to give it credit for actually scaring us, which we were not expecting at all. 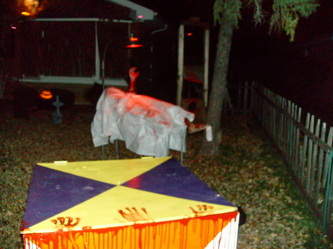 Since we see so many displays, it is rare that one of us gets scared enough that we jump, let alone three of us! 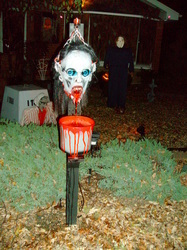 A great display, and one that everyone should take a look at when exploring the haunts in the Oak Lawn/Burbank area.